← What Does It Mean To Say I Am American? We presuppose some conception – however vague – of what food is whenever we eat or identify something as food. Obviously, what one thinks food is depends upon how one perceives and judges it. You may have heard about the saying ‘we are what we eat.’ Well, I think there is more to say regarding this relation. Eating mirrors the making of a self, that is, the array of decisions and circumstances that bring us to eat the way we do. In them, we can see reflected a detailed and comprehensive image of ourselves. Different conceptions can have real consequences for our health, the environment, and the economy. We don’t just perceive food; we also prepare it and eat it. We have different interests, rely on different sources of knowledge, and justify our beliefs differently. The view that food and taste have been ignored because they have been mistakenly regarded as unimportant is widely held. But what if the opposite is true – what if the real reason for their neglect is that food and our habits of eating are too important to us to jeopardize with dangerous philosophical rumination? There is often no apparent reason why we have an urge or repulsion. We just do. Sometimes our experience of food is inexplicable. We perceive food as something that might taste good, make us sick, have symbolic significance, spoil unless refrigerated, and spark other various concerns that are unique to food perception. And, some of these basic, yet enigmatic experiences are caused by involuntary bodily processes and others are caused by unconscious motives and desires. But, whatever you think about Food; Food is about life. It is about serious things like hunger and malnutrition, diabetes and heart disease, eating and being eaten. It is a profoundly moral issue. It always has been. Food is often perceived to have intrinsic value distinct from its instrumental value satisfying human ends. Food is a substance or material that originates in the environment in plants, animals, or water. It is made up of naturally occurring nutrients metabolized by an organism to sustain, grow, and repair vital life processes. The primary function of food is to provide nourishment to an organism. 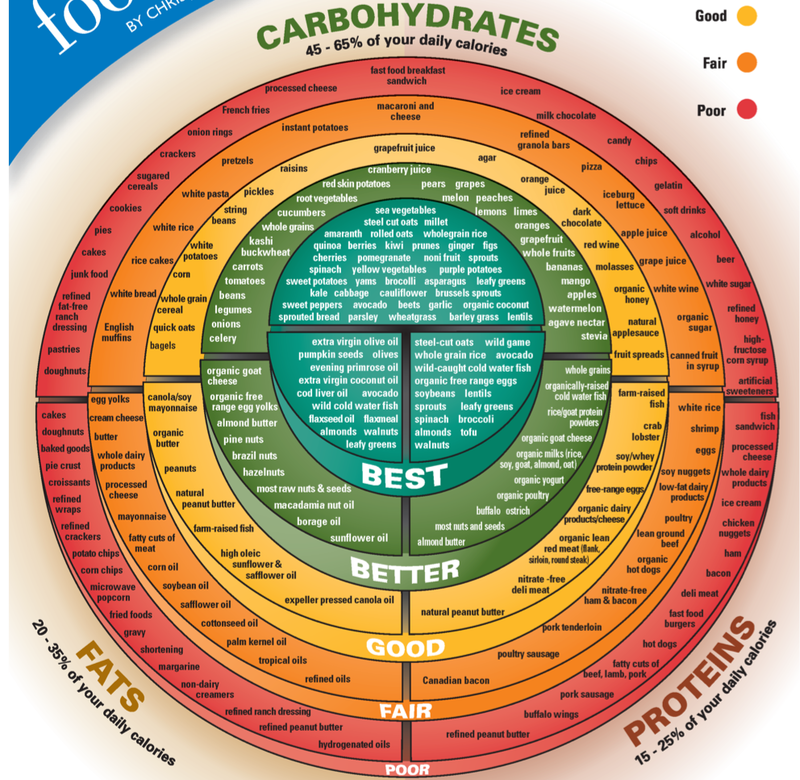 Nourishment is furnished by nutrients: carbohydrates, fats, fibers, protein, vitamins, and minerals. These and other chemical compounds are essential for basic bodily functioning. In this sense, food not only comes from nature but it is good when it does and bad when it does not. The more natural food is, the better it is. When viewed holistically as a part of a food chain, food production and consumption are seen as belonging to interdependent ecological relationships. The more we live in accordance with natural processes, the more healthy and “balanced” our lives will be. Harmony with nature is good; disharmony, bad. Unfortunately, today food choices are inevitably political. Even our simple acts of eating have public consequences when aggregated. The choices we as consumers make ripple through the realms of food production, distribution, and consumption shaping the character of our food system. But perhaps even more important than individual choices are the political and economic realities that affect national and international food systems. Governments have tremendous power to make decisions over entire nations (and entire species). So do transnational corporations. We have already encountered several issues that have political dimensions, such as food safety, hunger, animal rights, and genetically modified food. (Any issue where there are “advocates” and “critics” is already politically charged). Ethical choices about food used to be considered as important as other more recognizably moral issues. But, today people in the industrialized North tend to be less concerned about the relationship between diet and moral-religious conduct than we are about more mundane matters of health and, to a lesser extent, animals and the environment. Cultural and religious traditions since antiquity have prescribed what we should and should not eat. Even ordinary, everyday acts of cooking and eating are forms of ethical conduct. Sometimes the role of food is trivial (e.g., one’s idiosyncratic tastes and food memories), sometimes significant (e.g., sugar and the Atlantic slave trade, or Ireland and the potato in the 1840s). Either way, food is a marker of identity. We are all involved in agriculture and our food choices affects how land is treated. By living a rural lifestyle connected to the climate and soil, we acquire a sense of identity and place that can only come about by direct contact with the land. Getting back to the table celebrates artisanal, natural and old-world approaches to food. Food, for traditional systems, is the first medicine. This entry was posted in Uncategorized and tagged children, Eating, education, enlightenment, environment, food, Food industry, Food safety, Genetically modified food, god, healing, health, Jaime Oliver, Jam, life, medicine, Natural foods, nature, philosophy, Science, Technology, Ted Talks, United States, wellness, youtube.com. Bookmark the permalink.